Book Launch Party with Marie Greene of Olive Knits! 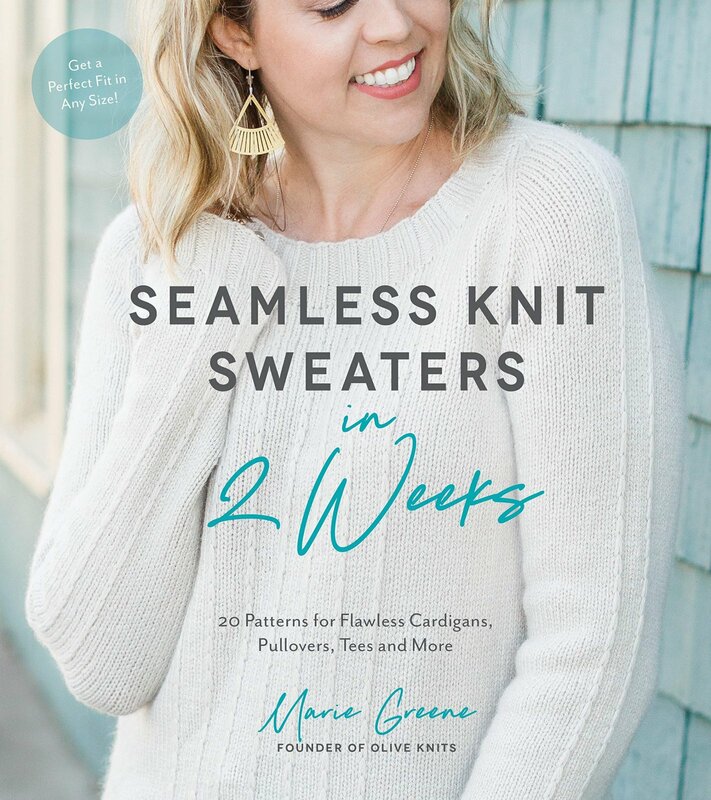 We can't wait to celebrate Marie Greene's new book, Seamless Knit Sweaters in 2 Weeks! Join us from 5-7:30pm for a book signing (you can buy your book at the store), trunk show (see all the sweaters, including the four that Jill and Sarah knit for the book), and toast to Marie and her amazing accomplishment. Light food and beverage will be provided. Pre-order your copy through our add-on option and it will be ready for you at the signing! Your $5 admission fee is refunded with any purchase of materials to knit one of the projects in Marie's book!